Prominent & Leading Manufacturer from Vadodara, we offer compressed air gas filter, compressed air dryer, compressed air filters and compressed air & gas dryers. Protection of meters for natural gas. 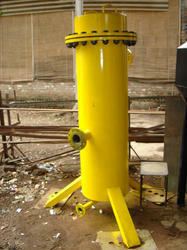 We are the manufacturers and suppliers of this Compressed Air Dryer that have been made from quality materials. These materials have been procured from reliable and trustworthy vendors who are known to be dealing in this field for decades. The main purpose of these air Dryers is to take away the water vapor from the air. This technique is usually adopted in the industrial platforms and is cherished by our engineers. 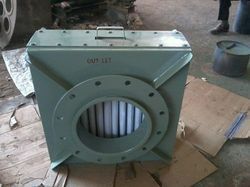 We are the leading manufacturer, wholesaler and supplier of an excellent range of Compressed Air Filters. 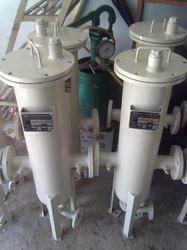 These filters are available on diverse specifications so as to fulfill the needs of customers. The provide filters are quality tested on several parameters by our quality experts so as to dispatch a defect free range. 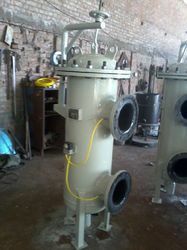 Our filters are appreciated in the market due to their fine finish & less maintenance. We are passionately engaged in offering an exclusive array of Compressed Air & Gas Dryers. This product is refrigerated or desiccant type depending on the permissible moisture content in the outlet. Offered product is manufactured from the optimum quality material and modern techniques in accordance with the set standards of industry. Offered product is tested in terms of quality so as to deliver a flawless range. Looking for Compressed Air System ?